...critics argue that even large fines are not enough to deter drug companies from unlawful behavior. Only when prosecutors single out individual executives for punishment, they say, will practices begin to change. The world’s leading drug maker by sales, Pfizer was accused of bribing doctors, hospital administrators and regulators in several countries in Europe and Asia to prescribe medicines. Authorities uncovered evidence that company units rewarded high-prescribing doctors in China with cellphones and tea sets, while plying Croatian physicians who ordered Pfizer drugs with cash and international trips, according to court filings. The investigators said Pfizer units also sought to hide the bribery by recording the payments in accounting records as legitimate expenses, such as training, freight and entertainment. Will new arthritis drug tofacitinib be the latest in Pfizer fraud spree? Pfizer, founded in 1849, is the world's largest drug manufacturer, reporting revenue of USD $67.425 billion in 2011. They are not above playing dirty, however, to achieve their number one position in the industry. They have a long list of convictions in numerous countries for fraud, with the most recent this week. In the last ten years they have paid almost $3 billion in fines entered into three corporate integrity agreements with the Department of Health and Human Services aimed at preventing future fraud. "Illegal conduct and fraud by pharmaceutical companies puts the public health at risk, corrupts medical decisions by healthcare providers, and costs the government billions of dollars," said Tony West, an assistant attorney general for the Civil Division. Johnson & Johnson has agreed to pay as much as $2.2 billion to resolve an investigation into its marketing of the anti-psychotic drug Risperdal, according to a published report. In 2010 the Justice Department joined a whistleblower lawsuit alleging that a Johnson & Johnson division paid tens of millions of dollars in illegal kickbacks to a company that provided prescription drugs to nursing home patients. The lawsuit said Johnson & Johnson made the payments to increase sales of Risperdal, a drug that is used to treat conditions including symptoms of schizophrenia and bipolar disorder. It is linked to increased risk of death for elderly people with dementia. The drug dispensing company, Omnicare Inc. of Kentucky, agreed to pay $90 million in 2009 to resolve an inquiry into its actions. The government said Johnson & Johnson made illegal payments to Omnicare between 1999 and 2004, and Omnicare's annual sales of Risperdal nearly tripled to $280 million over that period. The amount, just in New York, is estimated by Issa’s committee to be in excess of $15 billion, equivalent to $1.9 million per patient per year! The daily rate for a Medicaid beneficiary to reside in a developmental center grew from $195 per day in 1985 to $4,116 in 2009, vastly outgrowing the Medicaid daily rate for private developmental centers. James Mehmet, a former chief state investigator of Medicaid fraud and abuse in New York City, believes that at least 10% of Medicaid dollars are lost on fraudulent claims, while another 20% to 30% consist of abuse, or services that were delivered but that were unnecessary. Ninety-one people including doctors, nurses and other medical professionals were charged criminally after an investigation of Medicare fraud that involved $430 million in false billing in seven cities, officials said...It was the government’s second big raid in recent months after a similar investigation in May involving $452 million in possible fraud in Medicare, the health program for the elderly and disabled. The accusations include billing the government for unnecessary ambulance rides in California, writing prescriptions for patients in Dallas who did not qualify for them and paying kickbacks like food and cigarettes to patients in Houston if they attended programs for which a hospital could bill. Pharmaceutical manufacturer Abbott Laboratories Inc. was sentenced by U.S. District Court Judge Samuel G. Wilson of the Western District of Virginia in connection with its guilty plea related to its unlawful promotion of the prescription drug Depakote for uses not approved as safe and effective by the Food and Drug Administration (FDA) the Justice Department announced today. Abbott, which was ordered to pay a criminal fine in the amount of $500 million, plus a forfeiture of $198.5 million, and $1.5 million to the Virginia Medicaid Fraud Control Unit, will also be subject to a five-year term of probation. 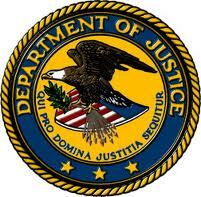 A Detroit-area doctor was charged and arrested today in the Eastern District of Michigan for his alleged leading role in a $40 million Medicare fraud scheme involving physician home visits and home health services, announced the Department of Justice, the Department of Health and Human Services (HHS), the FBI and the HHS-Office of Inspector General (OIG). In addition to the arrest, law enforcement agents executed search warrants at three locations and seizure warrants for three bank accounts related to the scheme. According to a criminal complaint unsealed today in U.S. District Court in Detroit, Dr. Hicham Elhorr, 45, masterminded a $40 million scheme involving the submission of fraudulent claims submitted to Medicare for services that were medically unnecessary and/or never provided through House Calls Physicians (HCP), a physician home visiting service he owned and operated. Elhorr allegedly submitted claims through HCP for physician home visits for patients who were never seen and for visits conducted by doctors who were not licensed. The complaint alleges Elhorr submitted claims to Medicare for physician home visits purportedly rendered when he was out of the country, when beneficiaries were hospitalized or when the beneficiary was dead. A congressional oversight committee on Thursday accused New York of overbilling Medicaid by billions of dollars by inflating reimbursement payments to its state-run institutions for the mentally disabled. In a scathing report, the Republican-led House Oversight and Government Reform Committee said New York overcharged taxpayers by $15 billion since 1990. In 2011, New York charged a per-diem rate of $5,118 for residents of the institutions, a network of 11 centers that now house about 1,300 people with severe developmental disabilities. Over the course of a year, Medicaid spends $1.9 million for every resident, or $2.5 billion in total—with half coming from the federal government. But the cost of running the institutions is only a quarter of that amount. The report said New York took advantage of a complex formula and kept federal officials in the dark for years. It also faulted the federal agency that oversees Medicaid for waiting years before investigating after becoming aware of the high payments. ...with pharmaceutical companies continuing to pay record civil and criminal fines in the U.S. for illegal marketing practices, recent scrutiny of similar practices abroad raises questions as to whether pharma has simply exported its fraudulent marketing playbook to Europe, Asia, the Middle East and elsewhere. Pfizer, the world’s largest drugmaker, paid $60.2 million last month to the U.S. to settle charges that the company bribed government officials – including hospital administrators, government doctors and members of regulatory and purchasing committees — in China, Russia, Italy, Bulgaria, Croatia, Serbia and Kazakhstan to approve and prescribe Pfizer..
Pfizer sales representatives in Bulgaria gave government doctors “incentive trips” to Greece in exchange for commitments to prescribe specific quantities of Pfizer pharmaceuticals. In China, Pfizer China offered to support travel to a conference in Australia for two doctors if they promised to “use no less than 4,200 injections a year” and to prescribe a Pfizer product to “more than 80%” of their patients, according to the SEC. In Russia, Pfizer gave doctors a 5 percent kickback on certain drugs they prescribed.